We were at Don Esteban & Don Pancho the other day when our wawa got hungry, so Patricia fed her. 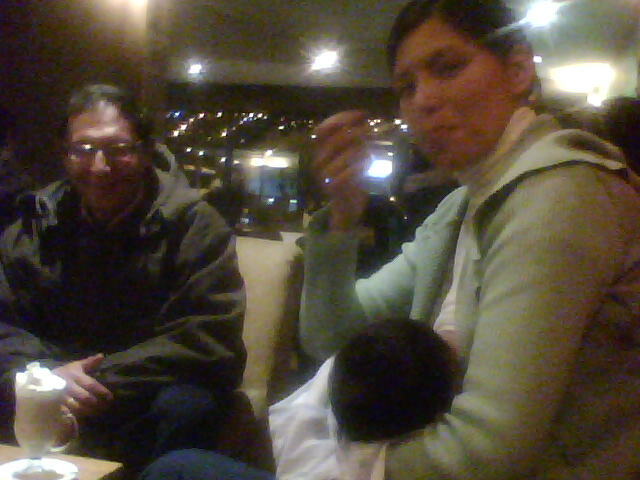 No big deal, unlike in the US, here in Peru you see women breastfeeding their babies in public all the time. According to the CDC, breastfeeding rates in the US fall short of objectives. Duhh… as long as women can’t breastfeed anywhere outside their own homes what can you expect? I mean, I grew up 2 hours outside of Amsterdam so NOTHING SCARES ME, but what could possibly be offensive about a mother nursing her child? If more women are to breastfeed their babies for longer periods, let them feed their baby whether they’re at a soccer game, in McDonalds or in the comfort of their own home. This entry was tagged baby, breastfeeding, CDC, Peru, US. Bookmark the permalink. A mother breast feeding her baby is one of the most beautiful things in the world. I always turn my head out of respect, but it’s difficult to not admire the scene. It’s quite common here in Mexico once you get away from the high falutin’ neighborhoods.